New Delhi: Drug major Cipla has received approval from US health regulator USFDA for Lopinavir and Ritonavir oral pellets used for treating AIDS in infants and young children. 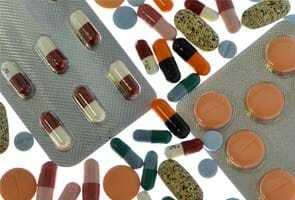 The approval by the United States Food and Drug Administration (USFDA) is for an innovative formulation - Lopinavir/Ritonavir 40mg/ 10 mg oral pellets, Cipla said in a statement. This novel child-friendly formulation has been approved by USFDA under the President's Emergency Plan for AIDS Relief (PEPFAR) programme, it added. Cipla MD & Global CEO Subhanu Saxena said: "This innovative way of drug delivery through oral pellets for some of society's youngest AIDS sufferers reiterates our commitment to provide access to life saving medicines in the fight against HIV/ AIDS." The pellets are to be sprinkled on sweetened porridge for infants and administered to them. The pellets are produced by melt-extrusion technology and are enclosed in capsules, Cipla said. "Lopinavir/Ritonavir is a preferred anti-retroviral in paediatric patents and this unique drug delivery system is a breakthrough in paediatric specific treatment for infants," Cipla Chief Medical Officer Jaideep Gogtay said. As per (UNAIDS - The Gap Report 2014), globally 3.2 million children were living with HIV in 2013 and 240,000 children were newly infected with HIV, Cipla said. Cipla's current portfolio includes over 1,500 products across wide range of therapeutic categories. The company stock closed at Rs 634.90, down 0.95 per cent, on the BSE.